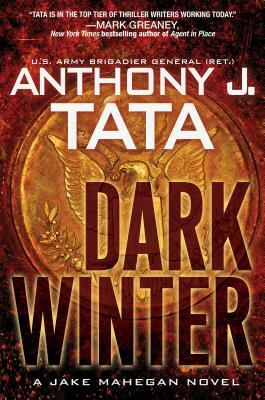 Brigadier General Anthony J. Tata, U.S. Army (Retired), is the national bestselling author of Direct Fire, Reaper Ghost Target, Besieged (a Publishers Weekly Top 10 Best Mystery/Thriller of 2017), Three Minutes to Midnight, Foreign and Domestic, and the Threat series. During his active duty military career, he commanded combat units in the 82nd and 101st Airborne Divisions and the 10th Mountain Division. His last combat tour was in Afghanistan in 2007 where he earned the Combat Action Badge and the Bronze Star Medal. He is a frequent foreign policy guest commentator on Fox News, CNN, and One America News Network’s Tipping Point with Liz Wheeler. Previously, General Tata served as the Secretary of Transportation of North Carolina, Superintendent of Schools for Wake County Public School System, and Chief Operating Officer of Washington, DC, Public Schools. "If you are a fan of military thrillers who likes the action peppered with authentic weapons details like the proper model of Apache helicopter in use or the muzzle velocity of an AK-47 aimed at the hero and his lady, there’s a new cliff-hanging dystopian tale you’ll want to put on your “to read” list. Retired General Anthony J. Tata is back with a new challenge for his hunky hero Jake Mahegan. This time, Mehegan is up against a Messianic supervillain who is also a super billionaire. A self-taught coder who’s forgotten more about hacking than most experts know, he wants the messy world to adopt his vision for a more orderly existence. His plan: a few massive nuclear explosions here and there to get people’s attention as he emerges as their savior. If you got scared by all the stories about Russian hacking of U.S. elections, Tata lays out the ultimate hacking threat: enemy control of nuclear weapons systems. No breathing room here for those who might want to pause the page turning to get some sleep. You won’t know how things come out until the very last sentence and won’t be satisfied till you get there."